I’m Stephanie Pineo, and for extra-credit for Professor Reinson’s class, I decided to interview Lindsay Campbell to find out more about PRIMA and her personal reactions to the club. Stephanie Pineo: Why did you join PRIMA? 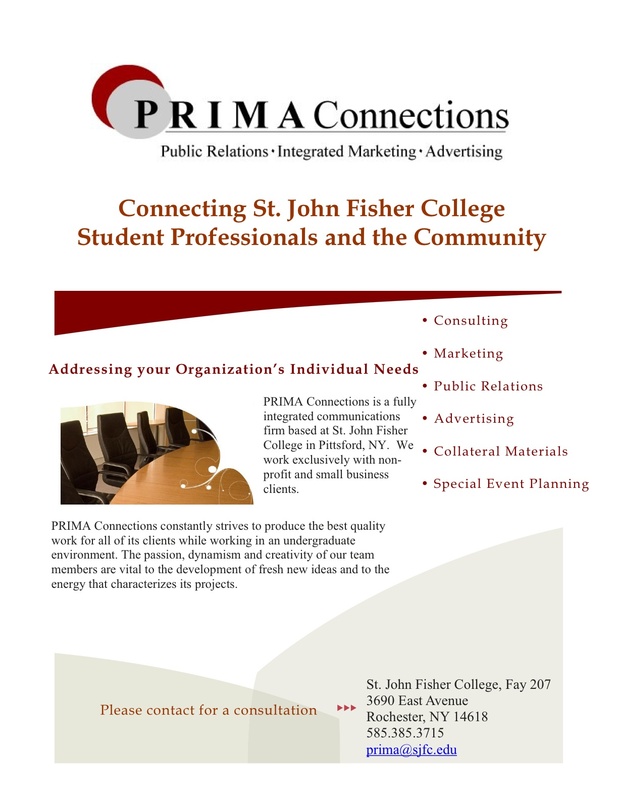 We at PRIMA Connections have discovered a wonderful new tool for the budding PR / IMC practitioner. Actually, It’s a book and not a text book, as we are accustomed to seeing with students, but just as useful nonetheless. It’s called The NEW RULES of MARKETING & PR by David Meerman Scott and he has some great ideas and tips about the future of marketing communications. For more information about him visit our advisor’s blog at www.kylereinson.com His site features a video all about the author and it is worth checking out.